Where January was not such a great reading month, February was. I read 6 books! Granted, I finished one on March 1st, but I did read most of that book in February, so I feel it counts. After the not so great book I read in January, I decided to read some books that had been on my TBR for some time. I finished a series, started three new ones and got a start on reading the books from my recent haul. 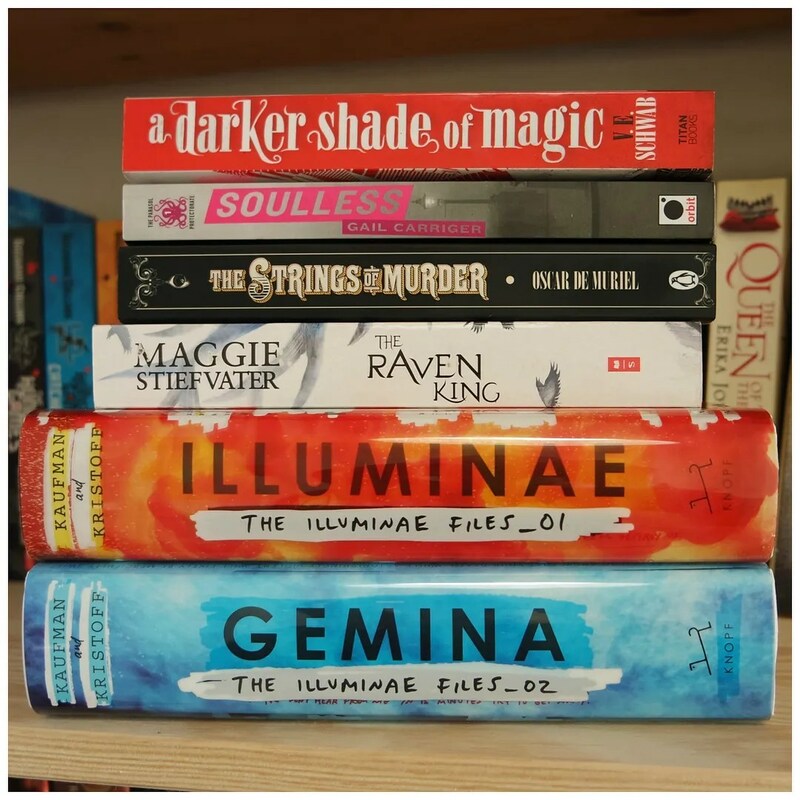 These are my 6 reads for February 2018. Kady and Ezra just broke up when their planet their planet is invaded by an enemy fleet that is after their unique resource. A resource so illegal that no one even knows the planet exists. They manage to escape, but get split up over two different spaceship. Ezra is trained as a fighter pilot, Kady learns advanced computer skills. And that is just the start of a thrilling ride featuring a derailed Artificial Intelligence system called AIDAN as one of its main players. This was an action packed read. I had heard great things and this did not disappoint. This book may have close to 600 pages, but the storytelling in the form of text messages, direct messaging, computer files and transcripts of interviews after the fact makes this a fast paced read. It does make for more of a distance from the characters and at first that bothered me, but after a while I got used to it and I liked it. My favorite character in the book? AIDAN: a perfect anti-hero/ villain. 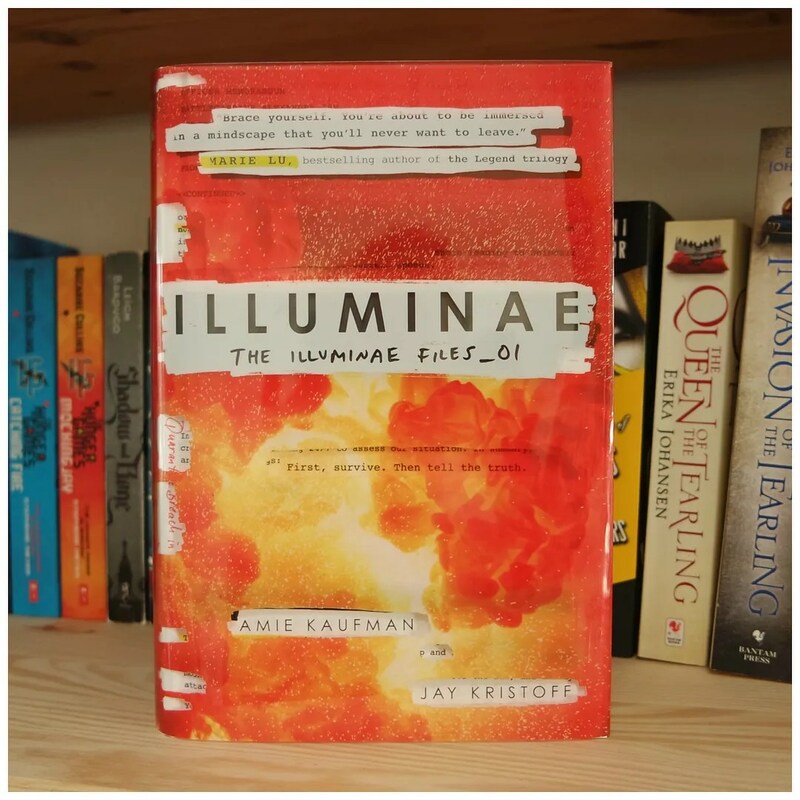 The second book in the Illuminae Files stars Hanna and Nik. While life on a remote space station isn’t all that exciting, Hanna makes the most of it, with a drug that only Nik and his crime loving family can provide. Their lives are shaken up when the escapees from the invaded planet are at their doorstep, with a group of special ops hit men in their wake. Most people love the first one more than the second, but I liked this one best. I loved Hanna as she’s simply kickass. Nik is a badass with a small heart and his cousin is one of the most prominent side characters I have ever seen in a YA book. The characters felt more real, the story was a lot more exciting and I can’t wait for the third installment Obsidio which should be out this week. 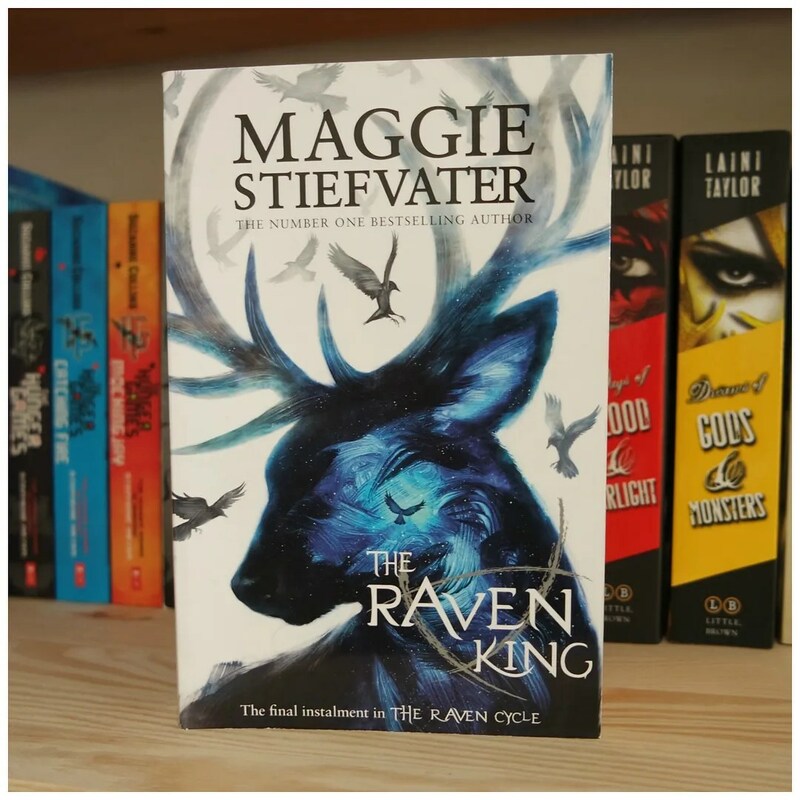 Part 4 of the Raven Cycle is the conclusion of the adventures of Blue, Gansey, Ronan, Adam and the ever fading Noah. After everything is said and done: will they find Glendower? And what is going on with Cabeswater? Will Gansey truly die? This was such a lackluster read. The story line was confusing, there was a sudden side character that was only briefly mentioned in Book 3 pushed to the forefront, and some of the storylines were wrapped up a little too nicely. The big moment, will they or will they not find Glendower, was only a secondary plot line in this and suddenly characters ended up together that only remotely had been hinted at. This is one of those books that felt like the author had to write it to drag out a series and it was one of my least favorites in this series. Meet Kell: citizen of Red London and an Antari, one of the last blood magicians that live in either of the 4 Londons and can travel between them. There is White London which is a dictatorship shared by two evil twins. There is Black London that was destroyed by magic. There is Red London where magic flourishes and finally there is Grey London. The London occupied by Lila: thief by occupation in 18th century London reigned by George III looking for adventure. When she steals something she shouldn’t have from Kell, their worlds collide and Lila gets the adventure she so desperately craves. This book was the pick me up I needed after that last book. It was great! There was suspense, the characters were fleshed out and it was action packed. 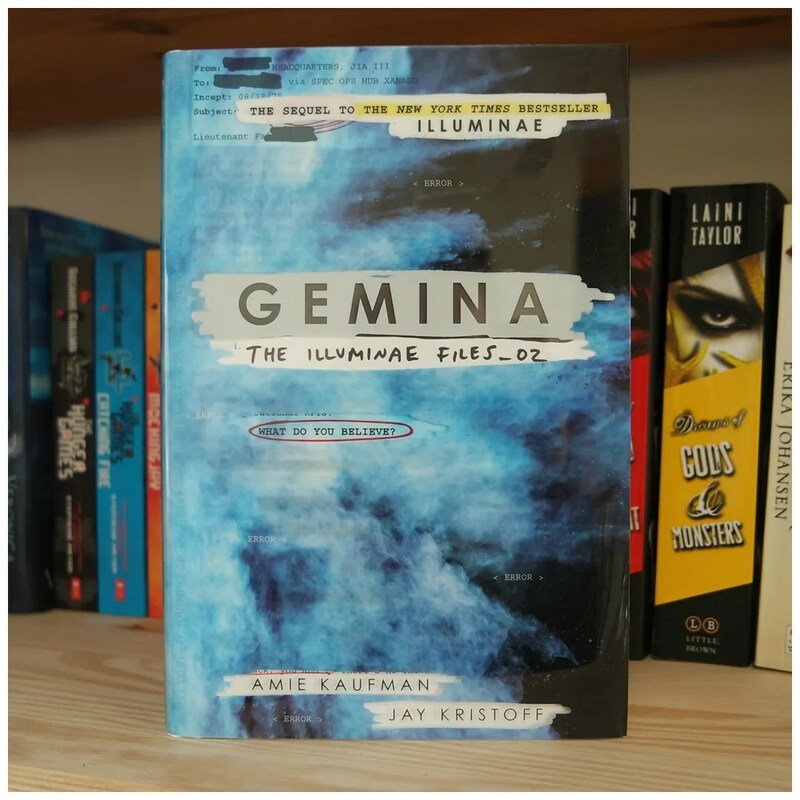 Kell and Lila strike up an extraordinary friendship and one thing I loved about the book was how much their friendship worked without turning into a romance. This is the type of fantasy book I love with a great world that is build up in a great way, but with a start in a world that is at least semi-recognizable. If you’re looking for a good fantasy story to read: I highly recommend this one. 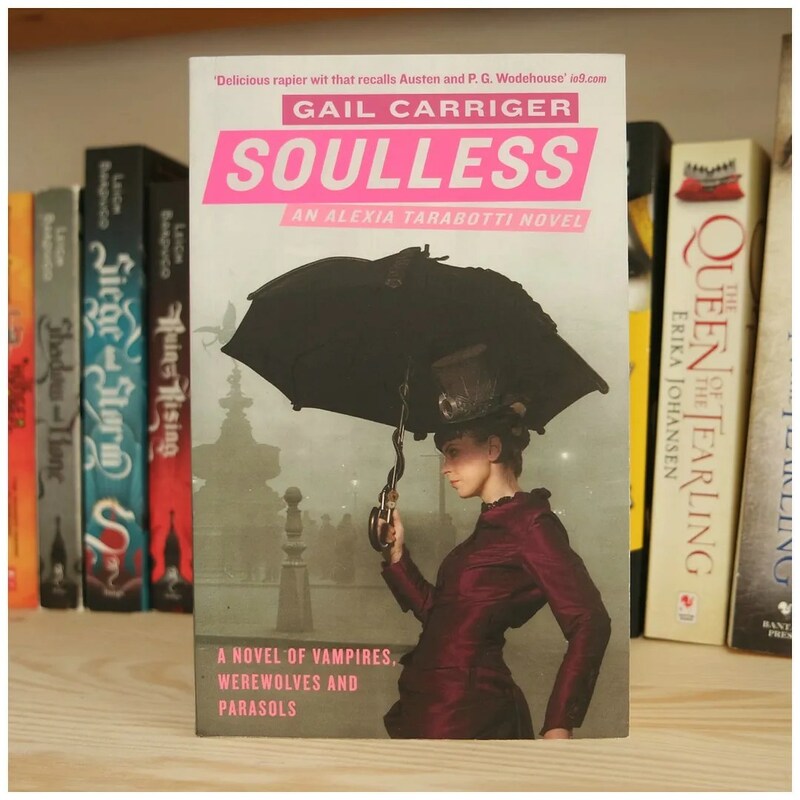 In Soulless we meet Alexia: notorious spinster who is shunned by her high society family for her stubbornness and Italian roots. But as long as she has her parasol, wit and fashion sense she will be fine. And don’t forget that secret: Alexia is soulless, rendering any vampire, werewolf, or ghost useless with just one touch. 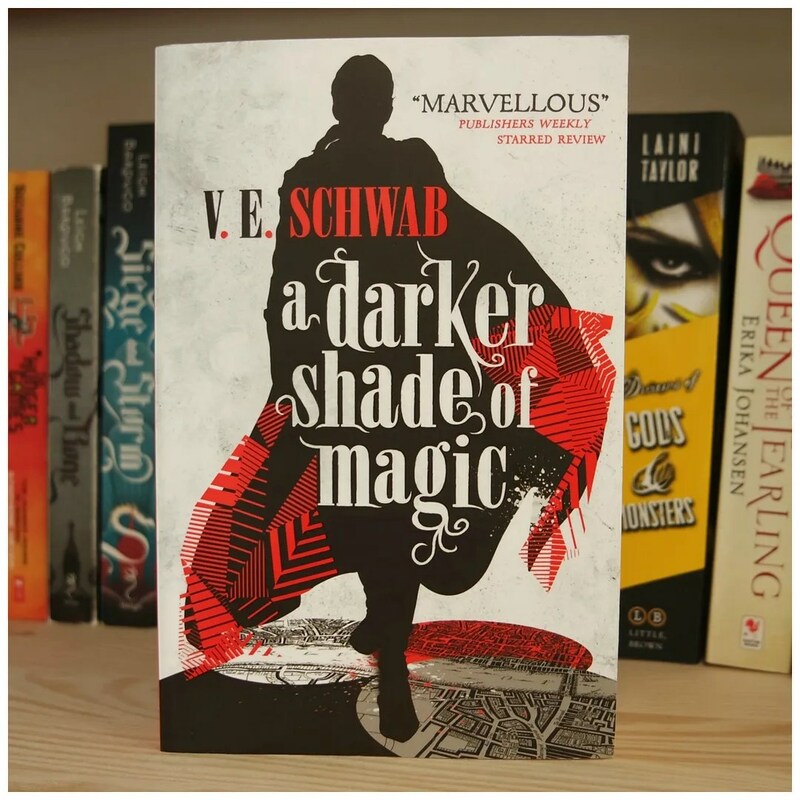 We meet her the night she accidentally kills a vampire who seems unfamiliar with her special ability and we meet Lord Maccon: the gruff werewolf in charge of all things supernatural in Victorian London. Together they are in for a bumpy ride that break all rules of social etiquette. I was trash for this novel. It really isn’t the best book ever, but I thoroughly enjoyed myself. The language in the book is quite laughable at times and the characters and their descriptions feel clunky. This isn’t an elegant book, but it’s fun and I found myself weirdly attached to these characters after reading it. When it comes to the overall reading experience, I don’t think I want to read any other books in this series, but I so want to read more Alexia and Lord Maccon. 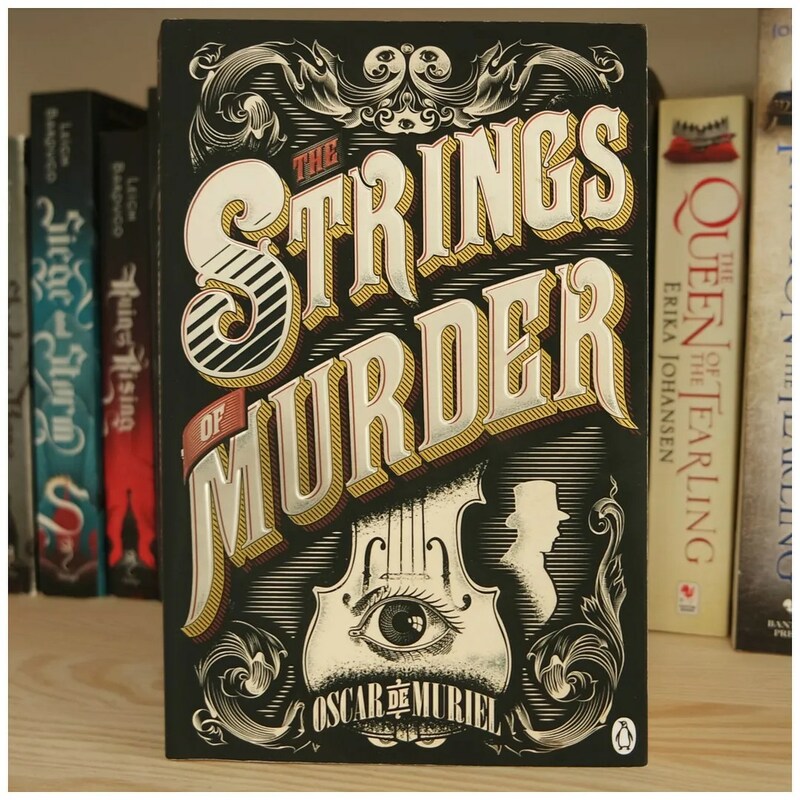 Inspector Ian Frey is sent to Edinburgh by none other than the prime minister after a politically charged changeover at Scotland Yard puts him in the crosshairs of the reorganization. He loses everything and thus has nothing to lose when he is put in the special division for the paranormal and the occult lead by the infamous Nine-Nails McGray. His job? Find out who’s killing violinists in the Scottish city. His challenge? Dealing with his new life and colleague. My last read was another great one. So much so that I decided to buy the remainder books in the series straight away and I’m currently on the second book. This book has a great setting, it’s a great puzzle and the banter between Frey and McGray is what makes this book. But my favorite character has to be Frey’s maid: her tongue and wit makes for some great moments in the book too. The book is a fast-paced plot that is a quick read: you will fly through this. They were all much better than the first one. hi Maaike. May I use your close up photo of the topshop sweater for a play I’m working on? it would be used in the cover artwork. I’m not getting paid and this is not a commercial operation. we are a small community theatre. thank you! What picture are we talking about? As your comment is on a book review, not a topshop sweater.